I am not really a cow-milk lover, and it obviously reflects in my height. Hmm... not taking much of milk in the younger age hence ended up my bone can't grow well and I am lack of calcium. Arh..I mean it smells odd and the post-consuming taste makes my tongue cramps a little, body shivers a little haha! 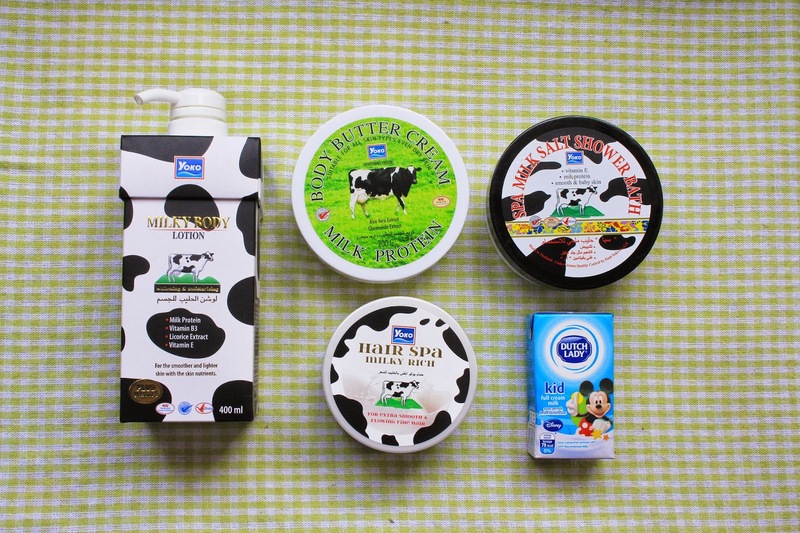 But recently I was totally in love with cow milk products! BUT NOT DRINKS. Imagine you, yourself submerge in a luxury bathtub, that's full of pure white milk, the room is full of milk aroma, spreading thoroughly from every strands of your hairs to your toe. Every touch on the skin, it's smooth like silk and it tastes just like your favorite cheese. OMG, what a pleasant bath! What makes up that delightful bath? That's YOKO milky hair and body series! So, I am going to share with you step by step on how to take a milky shower from top to toe, from shower to body care! 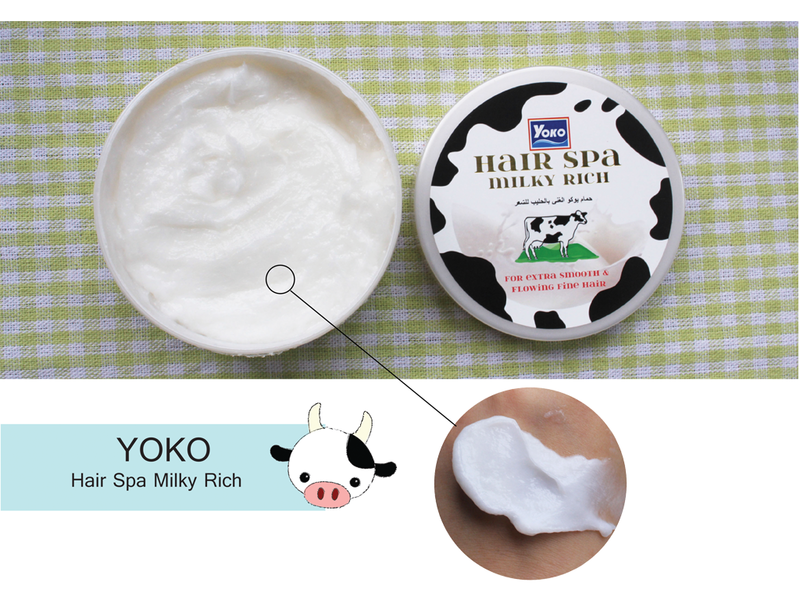 After shampoo-ing your hair, apply YOKO Hair Spa Milky rich like using a hair treatment cream or hair conditioner. Await for 10 minutes and rinse off immediately. With the triple benefits ingredients (Milk Protein, Coconut Oil and Argan Oil), it makes YOKO Hair Spa Milky Rich a unique formula treatment. The texture is alike with all the treatment cream out there, soft creamy. The scent it quite refreshing, with light milky fragrance. 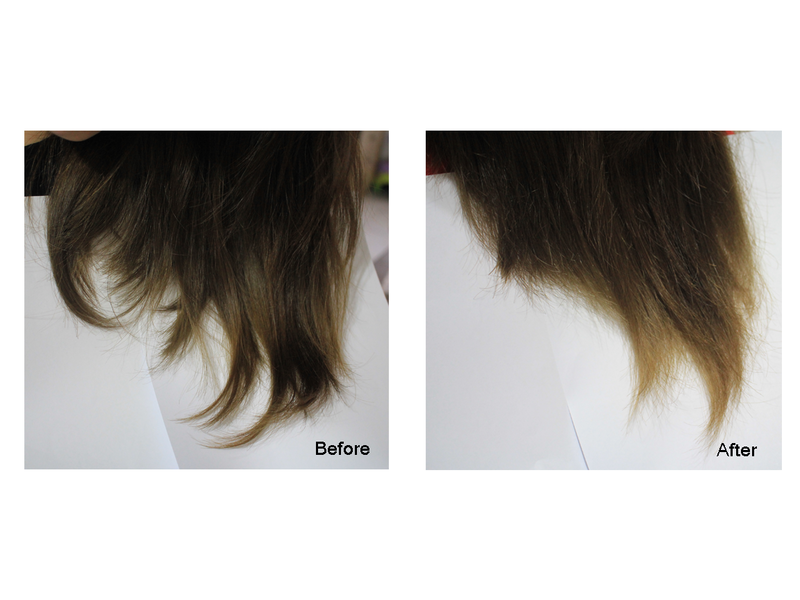 Here's the instant effect after using the YOKO Hair Spa. Before applying YOKO Hair Spa, my hair is rather frizzy and split at the end of hair, overall looking quite rough. 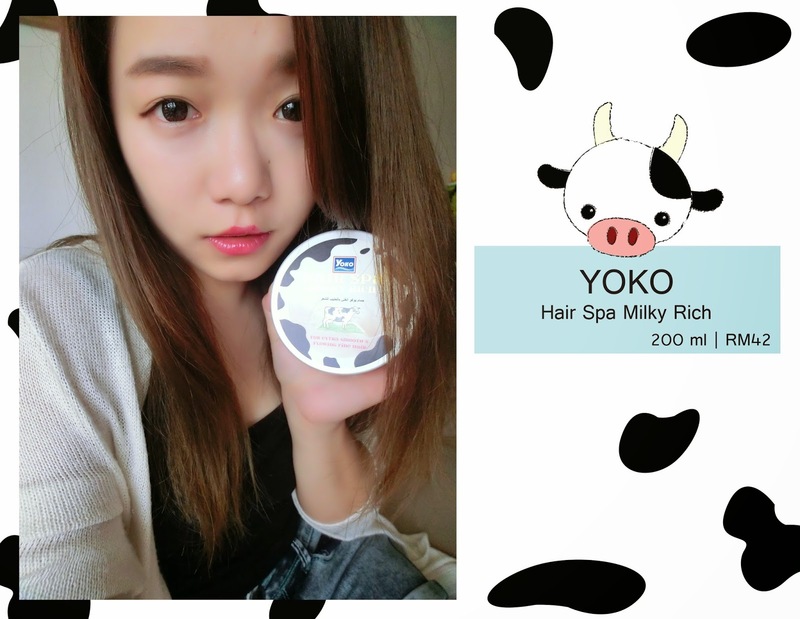 After applying YOKO Hair Spa, my hair turns out much healthier, soft and smooth, it evens have a mild milky scent on it! 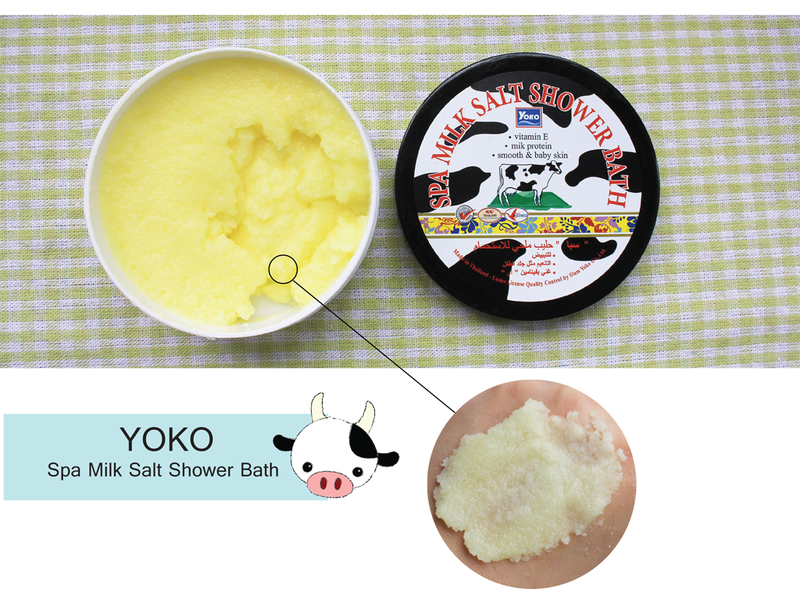 Wet your skin and rub YOKO Spa Milk Salt Shower Bath gently on your skin in circular motion. Rinse off with water after leaving it on skin for 3 minutes. With the formula of Vitamin E, natural salts and milk protein, it works effectively in exfoliating, meanwhile providing nourishment to our skin. Function like scrub, it leaves us with radiant skin without any dead skin cells! 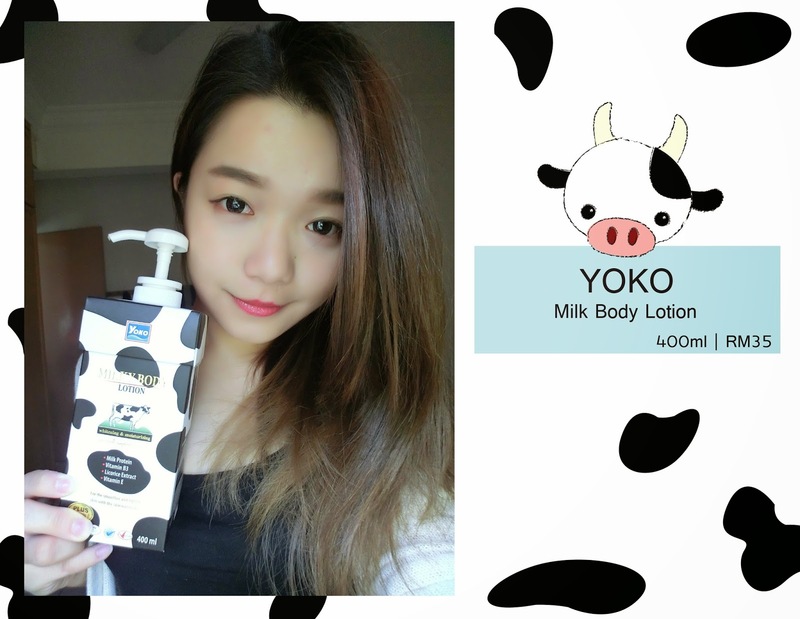 The texture is much like salt, yet it's comes with fine particles and strong milky scent. 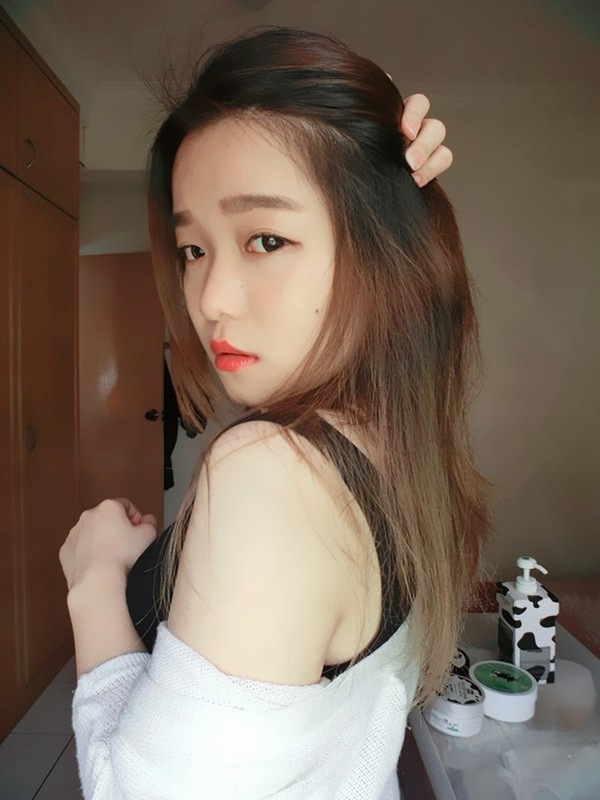 After the YOKO Spa Milk Salt Shower, I can immediately feel my skin becomes velvety smooth and moisturized with some additional of slight 'oily effect' on the skin, somehow slippery but not too greasy. 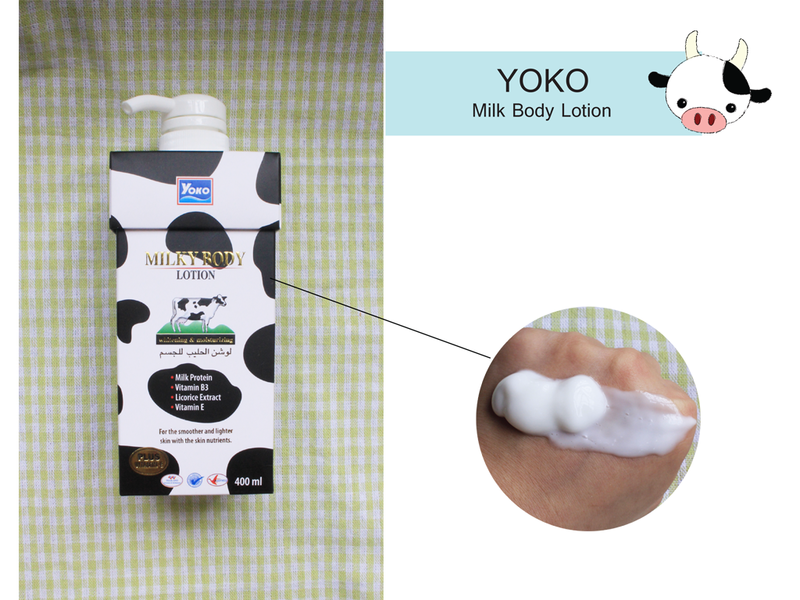 After bathing, apply YOKO Milk Body Lotion on skin and massage gently until it's fully absorbed. Enriched with milk protein, Vitamin B3, Licorice extract and Vitamin E, it provides swift hydrate to our skin, leaving our skin with supple, smooth and healthier looking! The texture is much dilute and watery, in very lightweight creamy form. The milky scent is much invigorating and light. Unlike the lotion I used in the previous, YOKO Milky body lotion penetrates much rapidly into my skin layer, meanwhile it leaves us with zero greasiness after application. Even after you sweat or few hours, it won't turn out sticky and irritating. 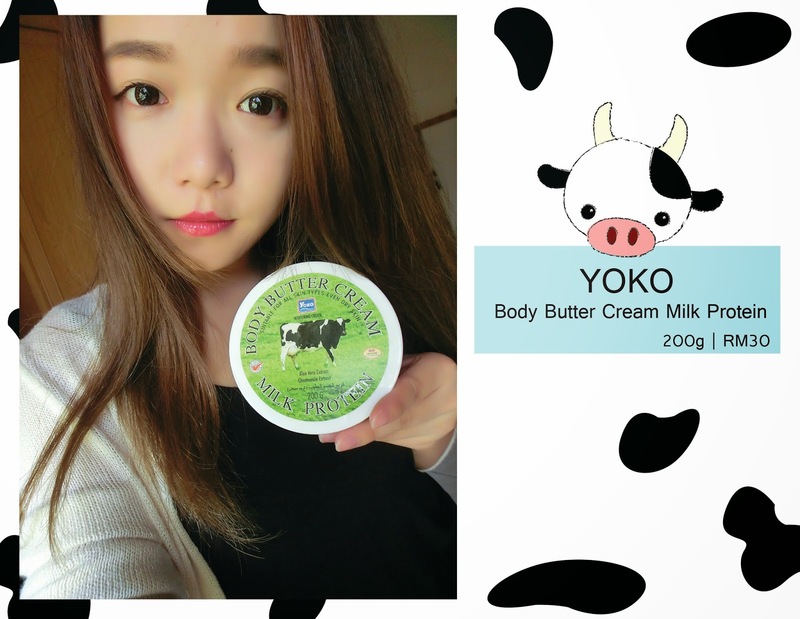 For daily body care routine, apply YOKO Body Butter Cream twice a day, right after shower in the morning and before heading to bed. Blended with Milk Protein, Aloe Vera Extract and Chamomile Extract, the rich body cream is fast absorbing. Retaining skin moisturize, combat wrinkles and whiten our skin tone. The texture is more concentrated and the flora scent is quite intense. 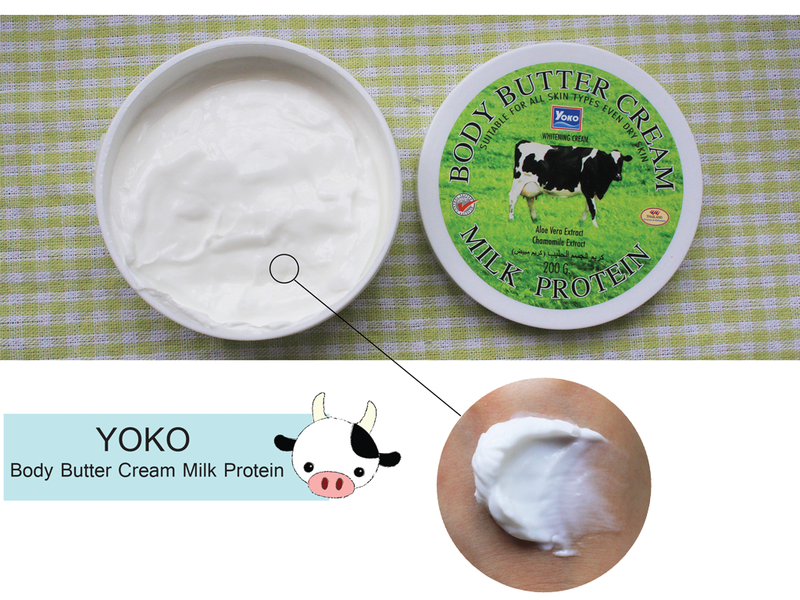 The moisture level for YOKO Body Butter Cream Milk Protein is much higher, and I can feel my skin moisten for long hours. Yet, it still keep my skin chilly, without any slithery feeling. Lets indulge in a milky hair and body care routine with me! For more information and products details, please feel free to visit Natta Cosme.